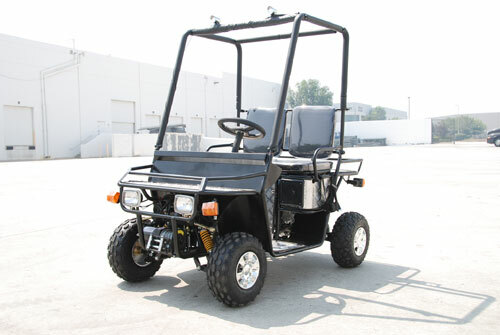 COME TAKE A RIDE ON THE ALL NEW 2 SEATER 110CC FOUR STROKE GASOLINE POWERED MERIDIAN UTILITY CART! YOU REQUESTED, SO WE DELIVERED! We have been selling these amazing machines for the past 2 years since there has been such a popular demand! $50 OFF IF YOU ORDER BEFORE 8 P.M. TONIGHT! Millions have often immitadated but never duplicated the quality, engineering or simplicity as this Gasoline Meridian Utility Cart! Please check out the specifications as you will be IMPRESSED!